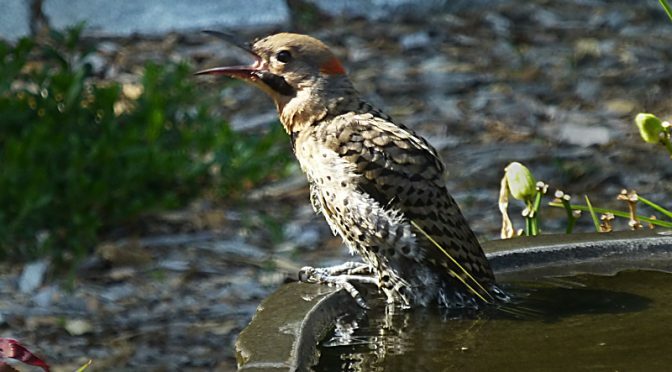 This young Northern Flicker was having a blast splashing around in our bird bath. There were two of them there for a bit. He was just so cute! And then when he was finished with his bath, he stood on the side of the bath and kept opening his beak. I didn’t hear any sound come out but he sure was adorable!